Note: This week I'm handing over my blog to five lovely souls who have shared their LOVE stories with me. I'd like to keep LOVE alive as an ongoing event, so if you have a story you'd like to share, please, pop me an email HERE and I'll post your story. Some of you may want to remain anonymous. And that's just fine. (I promise, stick a needle in my eye, to keep your identity hush-hush). Your story can be as long or as short as you want it to be. You can change names and locations. You can send me photos to post if you'd like. Mostly, though, and I speak from experience, writing and getting your story 'out there' feels just plain good. All I ask from you is that your story is about love, whether you are searching for it or have found it, that it delivers a positive message in the end, and that it is TRUE. Hey, in this crazy world of ours, we all need a little dash of HOPE. ~~~~ One month after I turned 40, my daughter was looking through an old box of photos and came across an envelope that contained pictures of a man I knew almost 20 years prior. At the same time I was undergoing multiple mammograms/sonograms and ultimately a core needle biopsy. I am not one to be negative, I rarely cry, but in the quiet hours of the night, when I was awaiting the tests to be taken, and the results to return, I couldn't help my mind from wondering about the many If’s in my life. So it comes as no surprise that my biggest “IF” was the man in those photos that my daughter found at that exact moment in my life. I met him in 8th grade. He came to the states with his family for a year. When he returned to Australia we became pen pals for a bit. I remember he sent me a Christmas gift with a small clip on koala. I loved it, and koalas are still my favorite animal. We lost touch, and then about 5 years later, out of the blue he called me. He got my work number from my mother, and I can remember that first conversation like it was yesterday. We started writing to each other and catching up. He had moved to Hawaii, and he wanted to come and see me. I really, really liked him. I couldn’t say love, because at 20 I didn’t know what it was. He wanted to fly 4,900 miles to see me. I could not understand why. I never thought that I had anything to offer him. To me, at 20, he was bigger than life, and so well traveled. I had never even been on an airplane before. I didn't know how could he be interested in me. I had just started dating someone, so I used him as the excuse as to why he couldn’t come and see me. I have never had a man offer me the world the way that "Mr. Australia" did. To be honest, at the time it scared me because I think that I knew I could have really fallen for him. A 4,900 mile distance was such an easy thing to hide behind. I married the man who I was dating at the time. He is a good man, and a really good father to our daughters, but along the journey of our relationship, I lost myself. Every interest I had changed into my husband’s interests. I cared enough to bend to his, from music to sports, but only realized after finding those photos that my husband never once bent for me. The realization was a sad one, even though I probably always saw the truth. Who wants to admit it? I don’t know if turning 40, or going through biopsies when cancer runs in your family, snapped me out of the fog, but I decided I needed to get myself back. The results of my biopsy came back good, but the Australian “if” would not go away. At that time, when I realized what an impact he made on my life, I felt the need to reach out to him. I wanted to apologize to him, but mostly I wanted to thank him. He probably would think I was crazy, but I set out into the WWW. Little did I know that his name is as common as John Smith is in America. Another issue was his location. I knew him to live in 3 different places by the time he was 20… he could be anywhere in the world. 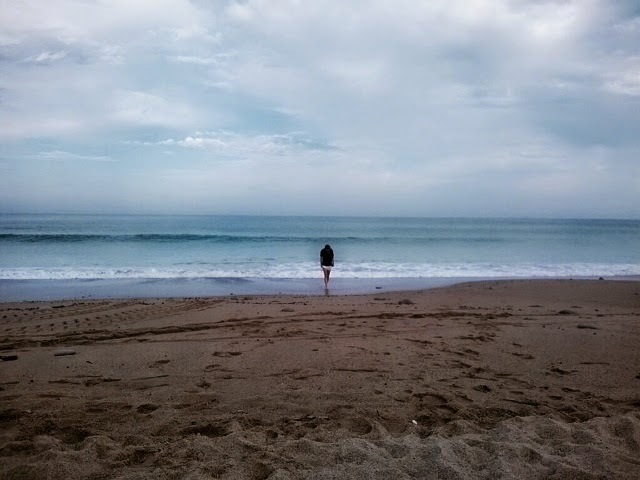 Almost 2 years after finding the photos, 2 letters to Australia, one email to Hawaii, I am certain that we are not meant to reconnect. I don’t know how much Mr. Australia cared for me when he was 21, or even if he remembers my name 20 years later, but I do know what an impression he made on me. I am forever touched by him, and that fleeting moment in 1994 when he made me feel like I was the most important person in the world. I am sorry that it took me forever to understand it. I may not have found him 20 yrs later, but I found myself again because of him. Please join on us FACEBOOK to discuss this story... and remember sharing is caring. Please feel free to share this post! Don't forget to enter my GIVEAWAY (click on the link/scroll down to enter)! 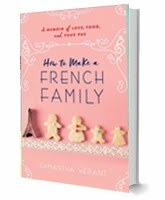 Five copies of my memoir are up for grabs! 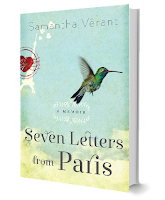 Also, the ebook of Seven Letters from Paris is priced at $2.99 on Amazon US, Canada, and UK (Kindle) and B&N (Nook) until March 3rd! Grab a copy today! See you tomorrow with another TRUE LOVE STORY! Click the photo to add it to your Goodreads! Bisous for my FB Page! © Samantha Verant. Powered by Blogger.